Chinese handset manufacturer Gionee will be launching its S10 smartphone with four cameras in India soon. Talking to Gadgets 360, a Gionee executive confirmed the news at MWC Shanghai, and added that the Gionee S10 will launch as the next A-series flagship in the country. The executive, however, couldn’t confirm the launch timeline for the Gionee S10 saying that the company is yet to finalise launch. Another Gionee executive talking to us added that the company initially had plans to launch the Gionee S10 in India in next two months but this may change depending on the performance of the current A-series smartphone, the Gionee A1. To recall, Chinese company unveiled the Virat Kohli Signature Edition of the Gionee A1 earlier this month. For those unaware, Gionee launched its S10 smartphone in China back in May and it went on sale in the company’s homeland earlier this month. The smartphone was launched in three variants – regular S10, S10B, and S10C. The executives couldn’t confirm at this moment which of the three variants will eventually make it to India. One of the biggest highlight features of the Gionee S10 is it sports four cameras – two at the back, and two at the front. The smartphone features a 16-megapixel sensor and an 8-megapixel sensor at the rear with 6P lens and f/1.8 aperture. At the front, it comes with a 20-megapixel sensor along with an 8-megapixel sensor. 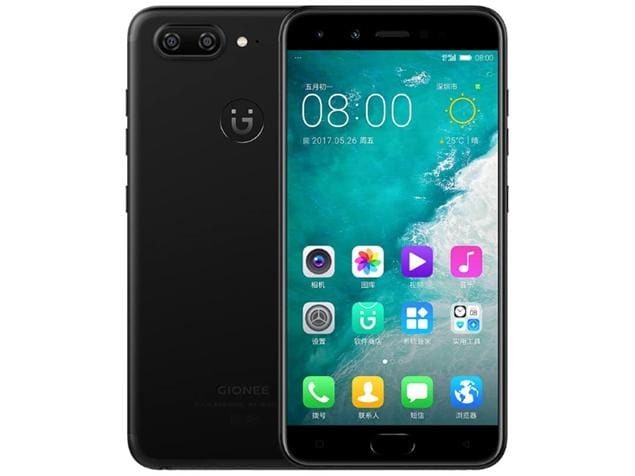 In China, the Gionee S10 was launched at CNY 2,599 (roughly Rs. 24,400). Other specifications of the smartphone include a 5.5-inch full-HD (1080×1920 pixels) In-Cell display, and it is powered by a MediaTek Helio P25 SoC coupled with 6GB of RAM. It comes 64GB of inbuilt storage, and packs a 3450mAh battery. The Gionee S10 runs Amigo 4.0 OS. Coming to the other two S10 variants, the Gionee S10B was launched at CNY 2,199 (roughly Rs. 20,700) while the Gionee S10C was priced at CNY 1,599 (roughly Rs. 15,000). The Gionee S10B sports a dual camera setup with a 13-megapixel and 5-megapixel sensors at the back while there’s just regular one camera at the front, a 16-megapixel sensor in this case. The S10B also runs on Amigo 4.0, features a 5.5-inch full-HD display, and is powered by a MediaTek Helio P10 processor coupled with 4GB of RAM. The Gionee S10B comes with 64GB of in-built storage. The smartphone houses a large 3700mAh battery. The Gionee S10C is the cheapest among three and sports a single 16-megapixel sensor at the back as well as a 13-megapixel sensor at the front. Just like the other two phones, the Gionee S10C runs Amigo 4.0 OS but sports a 5.2-inch HD display and is powered by a Snapdragon 427 processor coupled with 4GB of RAM. The smartphone comes with 32GB of built-in storage and houses a 3100mAh battery.